Robert (Bob) Kasner is a 2001 Leadership Henderson graduate. He is past president and one of the founders of the Friends of Henderson Libraries. He is also a founding member of the Henderson Community Foundation and the Henderson Chamber of Commerce Local and State Issues Committee as well as a former member of its Legislative Committee and Political Action Committee. A longtime resident of Henderson, Bob worked as a managing director for BNY Mellon Wealth Management in Henderson after Mellon acquired Paragon Asset Management Company from Bob and his partner in 2004. Bob is a former board member of the St. Rose Finance Committee, Public Education Foundation Investment Committee as well as the Apple Partnership. He is currently a member of the Gift Planning Advisors, a member of the President’s Council for the Nevada State College and a proud member of the Henderson Historical Society. 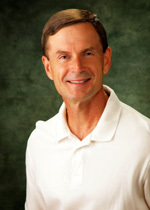 Bob graduated with an MBA from UNLV in 1978 and is a CPA and CFP.